Finds ways to notify people about global warming, and tips to make our planet more healthier. 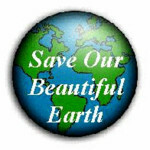 I hope everybody has a chance to partake in saving the planet. Please invite others! THANX!